Chartering a private jet does not necessarily have to be more expensive than a scheduled flight. This is especially true for flight routes not offered by airlines. Charter flights are perfectly able to keep up in terms of price in such cases and travelling on a private jet is both more comfortable and faster under all circumstances.The fact that people still mostly book scheduled flights for their business trips is commonly justified by the assumption that flights with an airline seem to be cheaper. However, there are several scenarios in which a charter flight can be both the faster and therefore less expensive option. The first two aspects do not differ from a scheduled flight. The following applies to both: the longer the route and the scarcer the availability (sometimes the capacity of the so-called racing circuits also plays a role here), the higher the price. 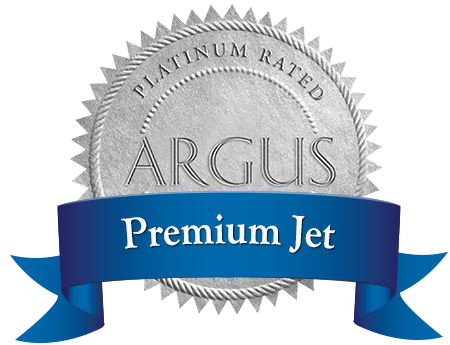 With a charter flight, the type of jet is an additional component. For shorter distances, Very Light, Light and Super Light Jets are the most suitable. Very Light Jets are the smallest jets. They are suitable for four to five passengers and flights lasting up to three hours. Light Jets transport six to eight passengers on flights up to four hours and Super Light Jets are for six to nine passengers and flights up to five hours. In contrast to scheduled flights, charter flights offer the huge advantage of big time savings. Long queues at the check-in or waiting periods at the airport (almost) completely disappear. When you get to the airport, you and your luggage will just be checked quickly and then you are ready to take off. The second huge advantage is privacy. As the business world often works with sensitive data, working on a scheduled flight or at the airport is quite difficult. Upcoming important meetings need to be thoroughly prepared. Last but not least just the ability to arrive at your destination well-rested before important meetings is also a considerable argument. Set against all of this are the supposedly immense costs. Yet chartering a private jet does not have to be significantly more expensive than travelling with an ordinary airline. The manager of a company based in Zurich has a five-hour long meeting in Dortmund and is accompanied by a project manager. As there are no direct connections, they have to stop over in Munich. Consequently, the duration of the flight will be more than three hours at best, and because there are no suitable flights available in the morning, the manager and project manager have to travel to Dortmund already on the afternoon on the day before, stay in a hotel for the night in order to attend the meeting in the forenoon following day. After the meeting they travel back to Zurich on the same evening. All in all, the business trip lasts more than 34 hours and costs CHF 2,200 per person in business class (Information retrieved from swoodoo.ch on June 6, 2016). However, with a charter jet, both of them can travel to Dortmund in the morning, attend the meeting, and fly back to Zurich the same evening. All in all, they only travel for about eight hours. A charter flight with a Very Light Jet for this route can already be booked from CHF 7,200 up. The comparison between the flight costs thus only shows marginal differences. While the scheduled flight for two persons costs CHF 4,400, and that is without the expenses for the overnight stay, catering, taxis etc., nor the working hours of the manager and project manager. The charter flight costs CHF 7,200. *) But how do you value the 26, or in the case of 2 persons 52 hours extra time? Apart from the direct costs for the flight and the overnight stay, there are also additional indirect costs when it comes to scheduled flights. As mentioned before, you cannot really work well on scheduled flights. Noise, barely existent privacy, nosy neighbors and the knowledge that you soon have to change flights all impede your concentration. This way, the travel time becomes unproductive time that could have been used more effectively otherwise. On a charter jet, on the other hand, businessmen are able to fully concentrate on preparing the next meeting or to relax in order to arrive at the destination well-rested. Another factor is the motivation that can hardly be compensated with money. If the manager and the project manager are with their families or simply at home in the evening instead of having to stay at a hotel, the bond to the company and the job motivation is increased. Airline or charter – what is the better solution? This question does not come with a general answer. In some cases, scheduled flights keep up with charter flights when it comes to flight duration and availability. In contrast to scheduled flights you do not have to be at the check-in at least one hour before the departure to join the queue. With a charter flight, a few minutes are enough, which is why the total travel duration is always shorter this way compared to that of a scheduled flight. Also, if you want to travel to airports that can only be reached via stop-overs, chartering a jet and direct flights are way more efficient. Considering additional expenses and indirect costs play an important role when comparing the costs for scheduled and chartered flights.